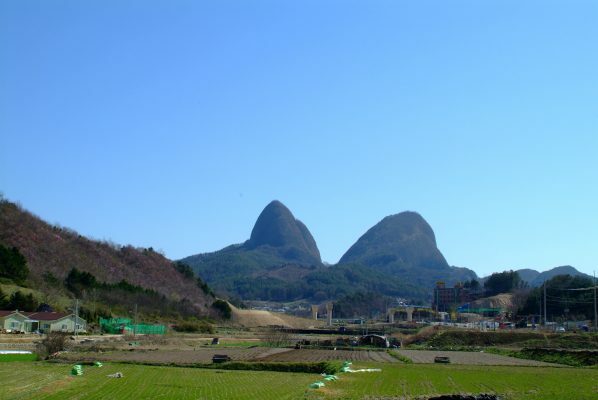 Jeollabuk – do is located in the southwestern part of Korea. It is located about 3 hours drive from Seoul. Jeollabuk-do is a place that has produced many artists from ancient times. Many traditional cultures such as traditional crafts, Hanji, and architecture have developed around Jeonju. 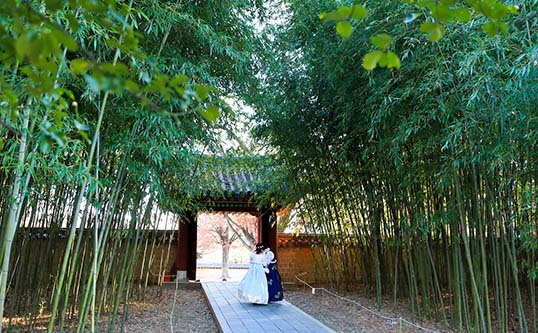 In particular, you will have diverse and deep experience of Korean history and culture in Jeonju. Jeonju is the center of the Jeollabuk-do province and has developed industry and culture from ancient times. Especially, Jeonju Hanok Village is Jeonju‘s most famous cultural touring spot. Jeonju Hanok Village was formed in the early 1900s to resist the invasion of Japanese merchants, and now it is a landmark representing Jeonju. There are more than 700 traditional Korean houses in the Hanok Village. You can walk around here and admire the old scenery of Korea all over the place. Hanok Village has lots of food for tourists. Especially, Jeonju bibimbap restaurants are very popular. On the streets, chicken skewers, churros, waffles, etc. can be eaten simply and delicious food is abundant. 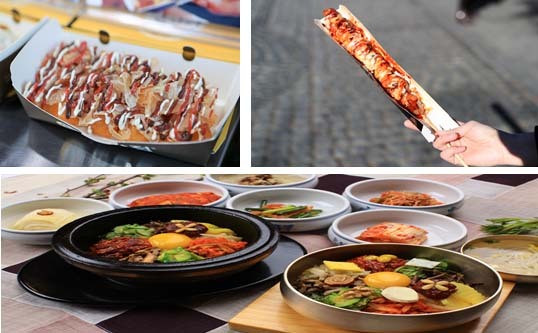 Jeonju is not an exaggeration to say that it is a trip to eat, and there are many delicious foods. You can go around wearing beautiful Hanbok on the street. Put on a Hanbok and take pictures with your friends and family. You will be able to leave beautiful memories that you will never forget. If you like this place, you can stay overnight. There are a lot of small guesthouses that maintain the traditional Hanok style in the village alley. The experience of sleeping in a Hanok with a beautiful night view of Hanok Village will give you an unforgettable experience. Jeonju Hanok Village is a very good place for education. You can learn Korean history here. The dynasty, which has the longest history in Korea, is the Joseon Dynasty. Jeonju is the hometown of Lee Sung-gye, , the founder of Joseon, and the roots of Joseon history can be found throughout the Hanok Village. 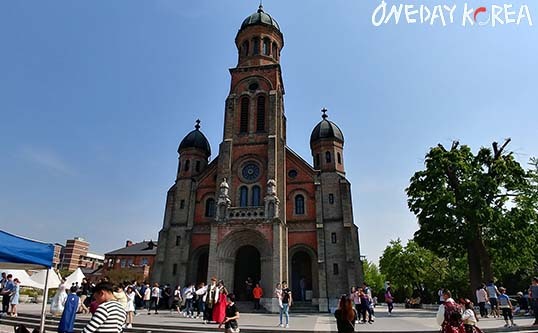 In the beautiful Romanesque Jeondong Catholic Church, you can also learn about the Catholic history of Joseon. If you have visited all the Hanok villages, go up to Omokdae once. Looking down on the village from Omokdae, you will see a panoramic view of Jeonju Hanok Village and Jeonju City. Let’s take a look at the panoramic view of Jeonju, which has a harmony of traditional beauty. You will never forget the beauty of Jeonju as your heart relaxes. 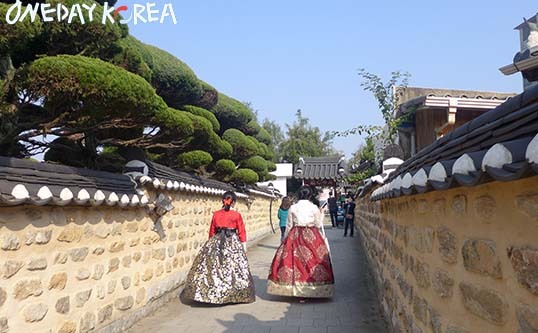 Check out our Jeonju Hanok Village Tour! Jinan County is located about an hour away from Jeonju city. There is a mysterious mountain that represents Jinan County. It is ‘Mai’ which means to resemble the ear of a horse. But in Maisan there is a more mysterious and interesting tourist destination. Walking for about 20 minutes at the Maisan entrance, you will see a temple with a rare view called Korean wonders. It is Maisan Tapsa. There are over 80 large and small stone pagodas. The stone pagodas vary in size and shape. It has been compromised, but these pagodas have not collapsed for over 100 years. These stone pagodas are known to have been built by a person named Lee Gapyong in the late 1800s alone. Can you believe this amazing fact? There is also a mysterious myth that wishes are made when wishes are made in front of the tower. After seeing the wondrous towers, pray for what you want to achieve in front of the tower. Maybe it will happen. It is also famous for its spring cherry blossom viewing spot. In spring, cherry trees lined up from the parking lot to the front of the temple, so that you can see beautiful spring. If you plan to visit here, I recommend going to spring. Jinan red ginseng spa is a spa that is built on the basement floor and three floors above the ground where Maisan can be seen. It has a systematic program to experience the therapy with the ingredients of red ginseng and Yin-yang & five elements of the universe. The spa with these programs is the only one you can meet at Jinan Red Ginseng Spa. You can enjoy bubble massage using red ginseng bubble in Taegeuk Zone. The Therapy Zone, which uses the principle of Yin-Yang and the Five Elements, can provide even more diverse and direct experiences. First of all, you can enjoy fresh experiences such as underwater massage, underwater floating and wind therapy in Yin Yang Zone. You can message directly by using good materials such as herbal medicine, mud pack, red ginseng liquid and pebbles in the Therapy Zone. In the Aqua Zone located in the open sky gardens, you can enjoy a panoramic view of Mt. All these experiences can only be enjoyed in Jinan red ginseng spa. Why do not you try to relax your tired body through the Hanok Village and Maisan exploration? 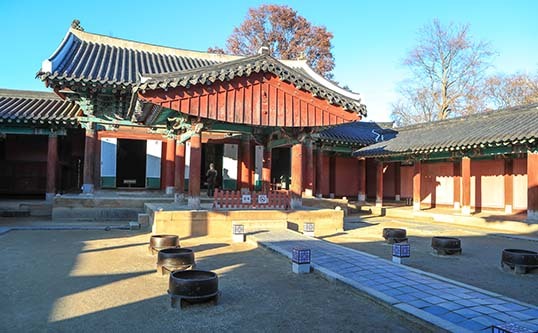 Join our Jeonju Hanok Village Tour !